Cuts exactly parallel and straight on two sides with a top and bottom knife. 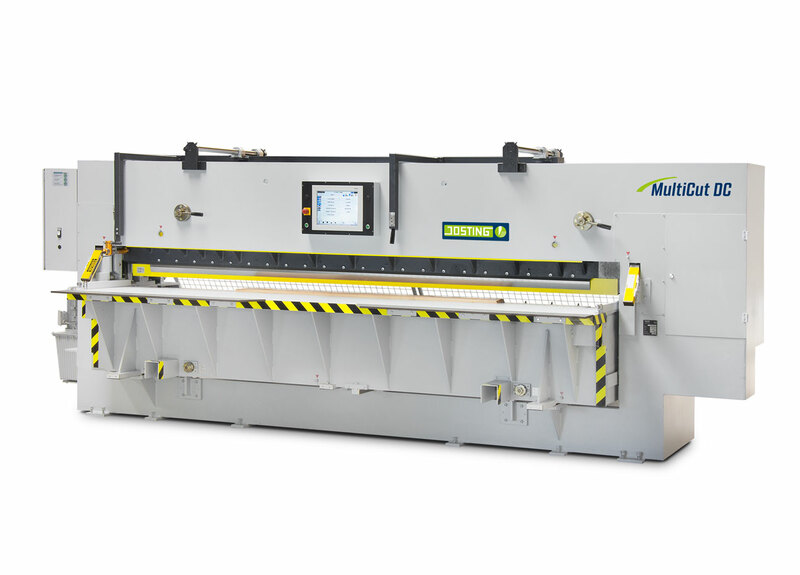 The machine cuts packs exactly parallel and straight on two sides with a top and bottom knife. Tight-jointed splicing of all types of material is possible without difficulty. 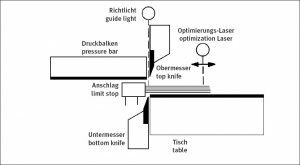 The machine table with the bottom knife can be adjusted by means of a high-speed positioning drive in order to obtain the required width dimensions. After the pack is clamped in position, the top knife cuts downwards towards the table and the bottom knife cuts upwards towards the pressure bar. for diverse modes of operation and storable program operations..
Cuts of high quality thanks to the swinging and powerful drawing motion of the knives at an angle of approximately 20°. Telescreen positioning control system for diverse modes of operation and storable program operations. 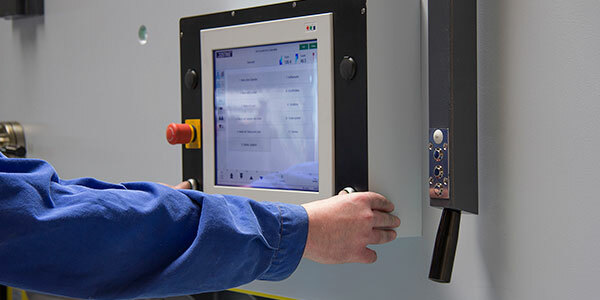 An adjustable optimization laser reduces the amount of scrap. 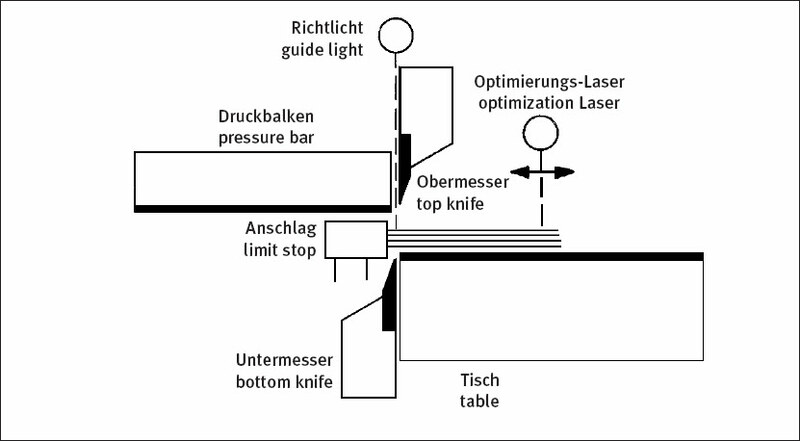 Simultaneous cutting by the top and bottom knife results in fast production cycles. 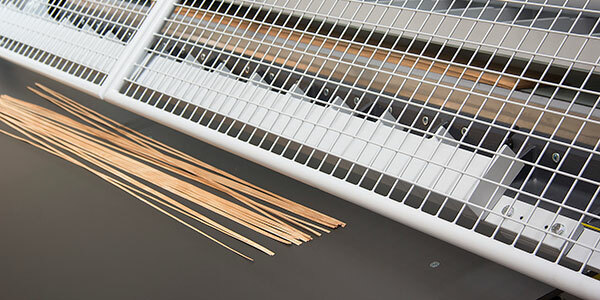 The machine has a cutting capacity of approximately 2 to 3 packs per minute. This includes inserting, aligning, cutting and removing the material. Precise and permanent parallel guidance of the pressure bar and table. Rugged design of all machine components. The high pressing and cutting forces are reliably absorbed. The top knife,bottom knife and protective coverings are of identical size and can be interchanged. Good knife economy thanks to a grinding allowance of 30 mm. Intermittent operation of all the drives results in a low energy requirement and a low level of noise. Occupational safety regulations are met by a light barrier safety device, electric safety control system and swivelling protective gratings. The pack is placed on the machine table and up against the limit stop. 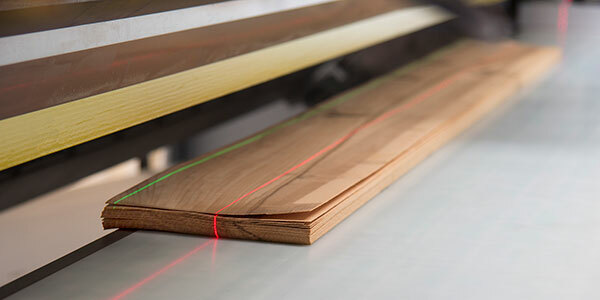 The rear cutting line is clearly marked by a guide light and the front cutting line by an adjustable optimization laser. Hence the cutting lines of the two knives and the resulting veneer waste are visible. 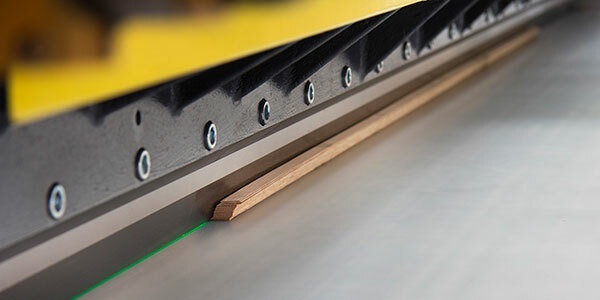 Once the cutting width is selected, the cutting cycle is executed automatically: The table moves into cutting position, the pressure bar clamps the veneer pack in place, the top and bottom knife cut both sides ready for jointing, and the table returns to the alignment position.Pre-cutting and finish-cutting are possible for high-stress veneer.Veneer strips are cut only with the top knife in incremental mode. NEW! Rough cut + finishing cut = Super veneer joints. No break-outs from the bottom of the veneer sheets. Tighter joints with all types of veneer.